There is a song that we used to listen to as kids that talks about running and spinning in circles until you drop…well we kind of took that song to heart in the last few weeks. Starting with the Easter round up, yes I did say Easter. I will keep it brief and just add in the photos that I have. Stella in her yoga sleep. How many of us can sleep in this pose? Easter egg hunt #1 at Gwen’s school. 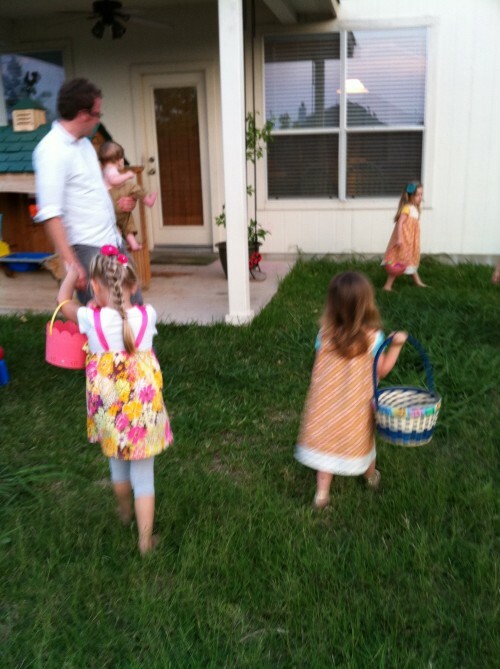 Each kid brings 12 eggs and they count and even them out at the end. Harry is looking for certain eggs so he had 4 in his bucket and all the other kids were well over 12, but after the eggs were all picked up and sorted we left with 12 each. Hooray. 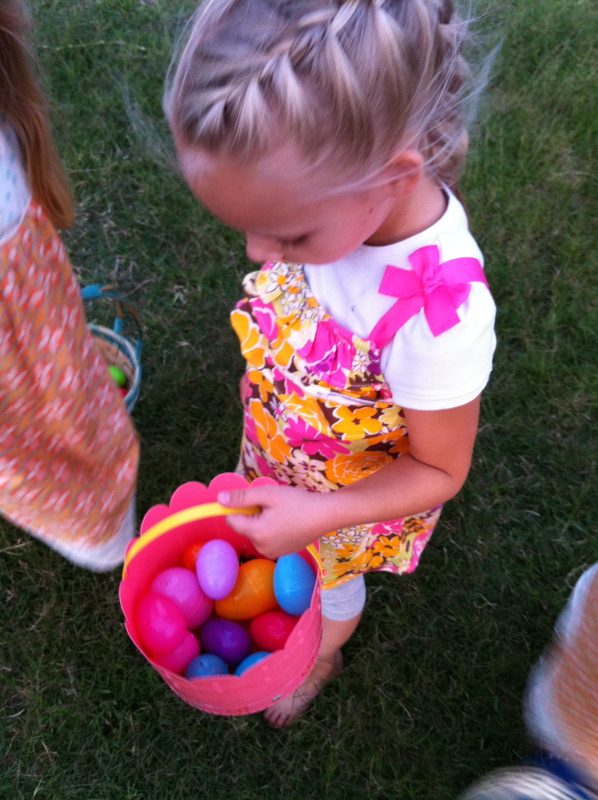 Egg hunt #2. 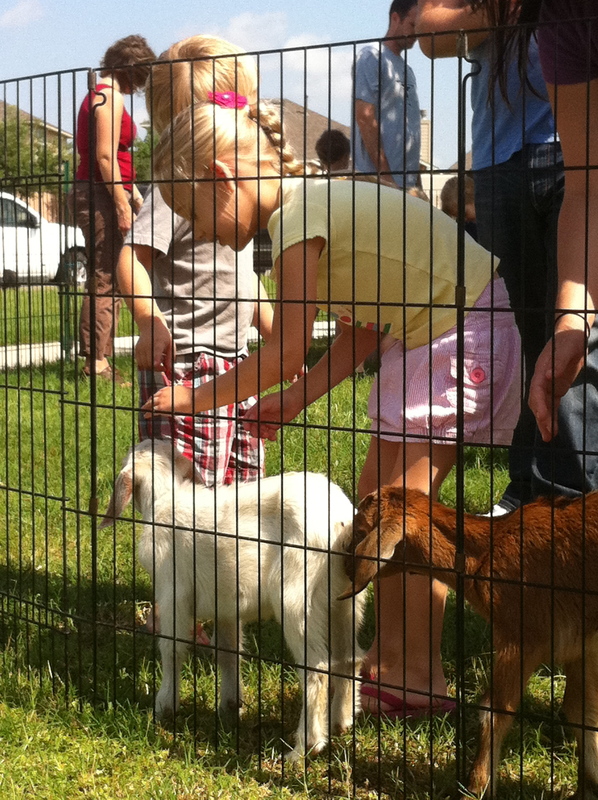 Some ladies in our ward put together a picnic and egg hunt at a park near us and to our surprise and joy there was another group there that had a baby animal petting zoo. 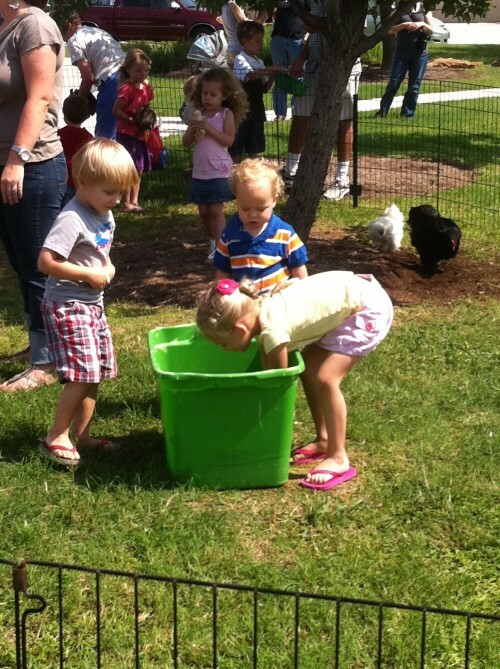 So naturally Gwen was first to drop her bucket and head for the animals. 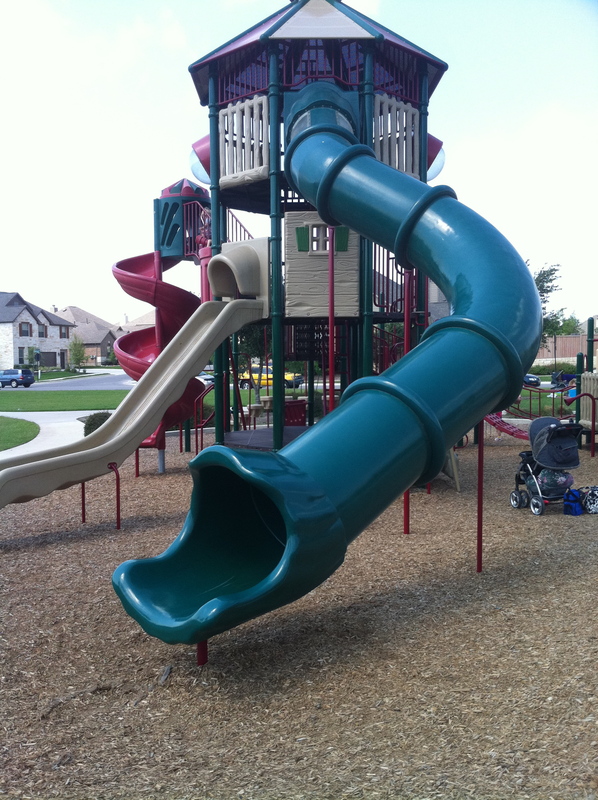 And this is part of the playscape there…um yeah that slide is three stories high! Harrison LOVED it. 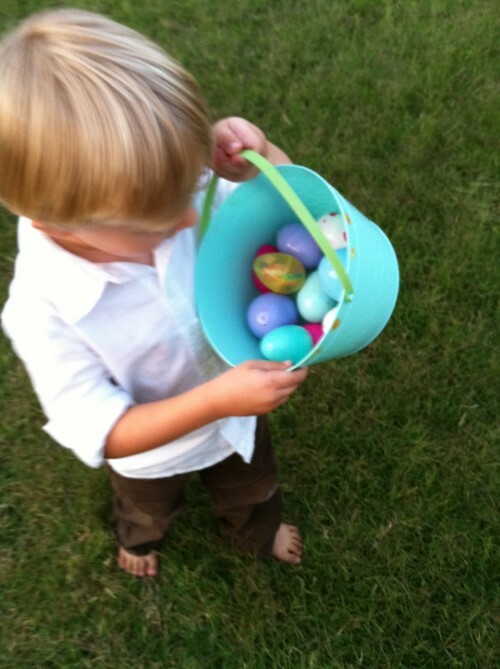 After the animals and play area we did the egg hunt and Harrison only came out of it with 8 eggs. (I promise you I counted with him as he picked them up.) But that at least means less candy that was brought back to the house. 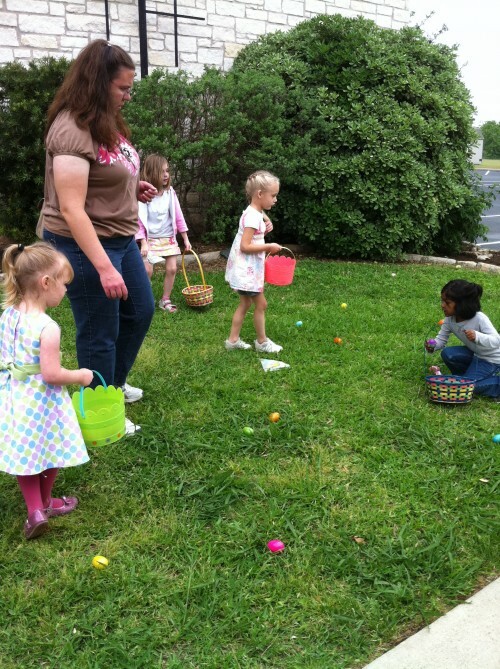 Egg hunt #3 at the Pflugerville Barlow’s. 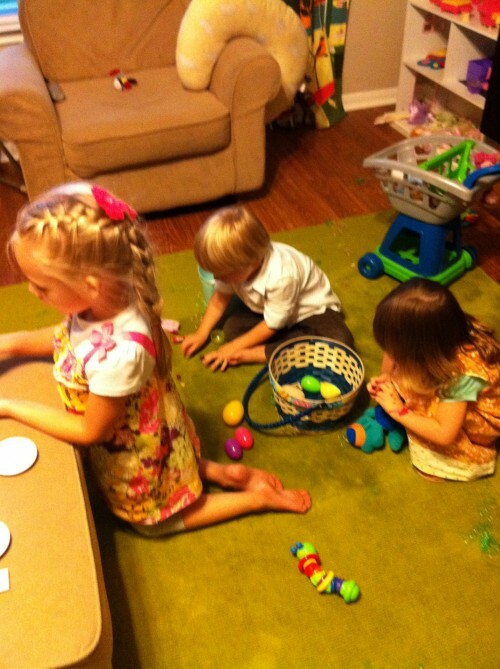 Now there are some kids who know how to find Easter eggs. 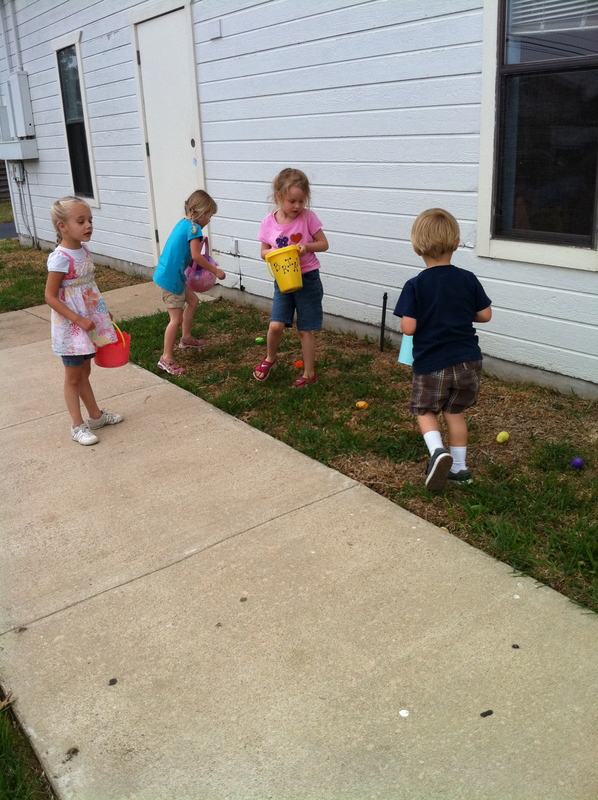 Harrison and Liv were left in the dust as London, Maddie, and Gwen flew across the yard swooping up the eggs. But in the end the eggs were popped open and candy was devoured and all was well. We also had the chance to help celebrate Leslie’s birthday out on the Lake. 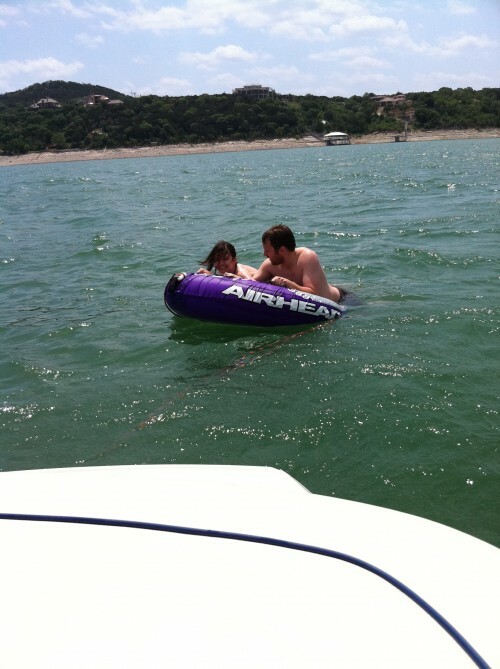 Ryan rented a boat and it was windy, oh so windy but also TONS of fun. 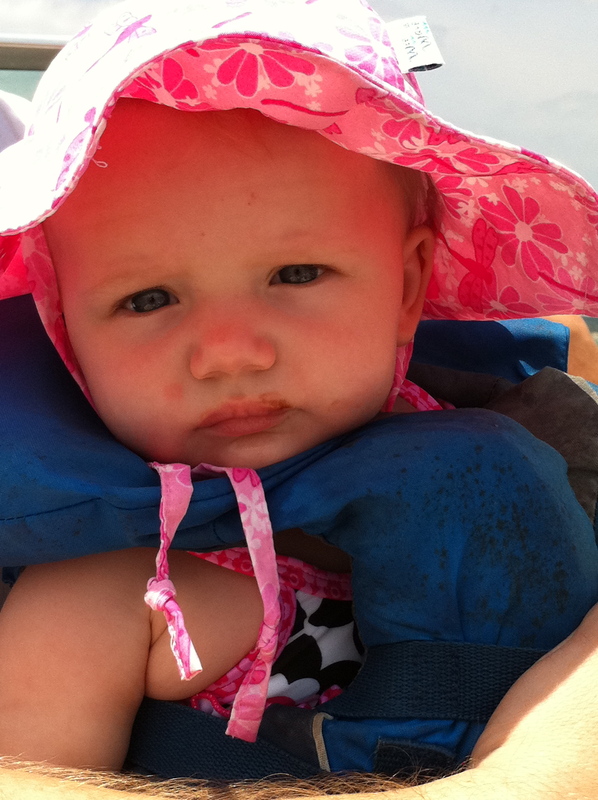 (Stella is still not a fan of the life jackets) and that is a little birthday cake on her face just to add to the festivities, oh yeah cake on a boat. James was a speedy driver. 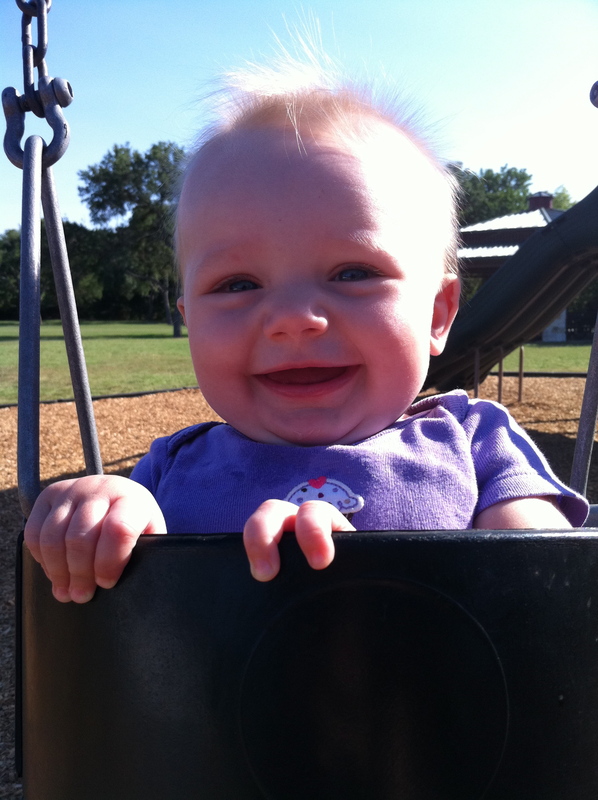 And here is fuzzy head Stella just hanging out in the park. I love seeing your pictures and reading your comments! 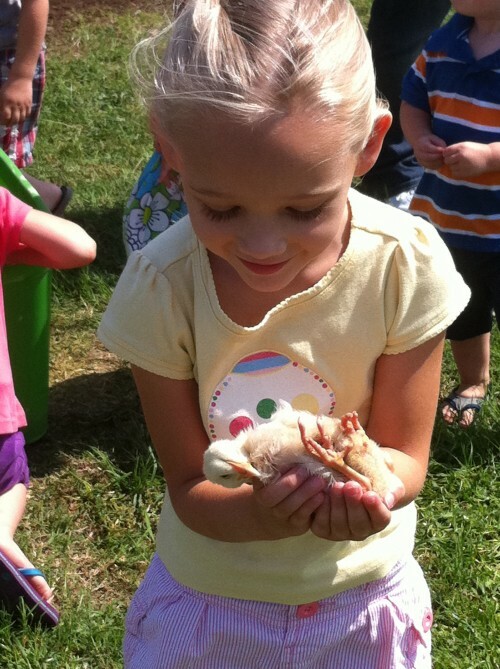 That photo of Gwen holding the chick is really precious. I am so glad you were able to get it. Thank you for not drowning during the speed boat activity! Everybody safe is my mantra! Wow to celebrate Easter 3 separate times is super fun! Check out this link. Scroll down and listen to some music. My mom still has this tape and my kids love it!! Good way to get some exercise on a hot or rainy day. Your kids are cute and adorable as usual. Yea for Easter egg hunts! 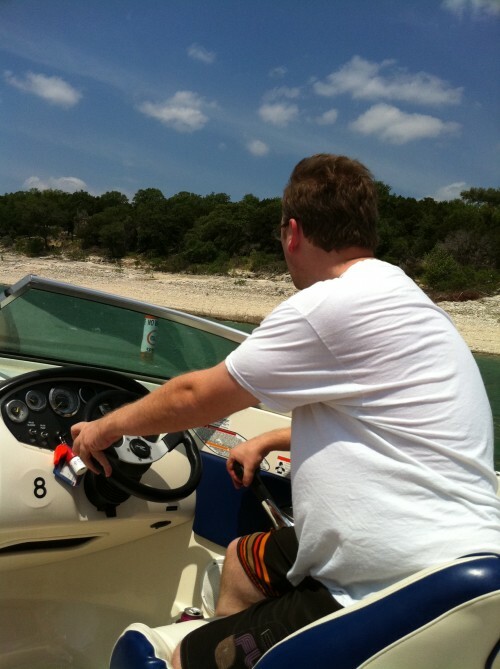 I’m so jealous that you have boating weather. It is cold in Utah- again. Next post: We are just animals at the zoo!